You may need a wisdom teeth extraction at some point in your life. It is rare for a person to have enough room for all of their wisdom teeth, and as a result, they tend to grow in impacted. This can be uncomfortable, push your other teeth forward, and create a space for food to become trapped; it can also increase your risk of infection and decay. This is why we often recommend that our patients have their wisdom teeth removed. When you schedule an appointment with Portola Dental Group, we can examine you, take X-rays, and let you know if and when you should schedule an extraction procedure. You can reach us by calling (760) 201-4085. Wisdom teeth are also known as third molars and generally will be the last four of the 32 teeth that erupt in the mouth. Wisdom teeth will usually appear between the ages of 17 and 25, and are located in the back of the mouth on the top and bottom. They are referred to as “wisdom” teeth due to the fact that they will usually appear around the same time that a person is becoming an adult or gaining wisdom. 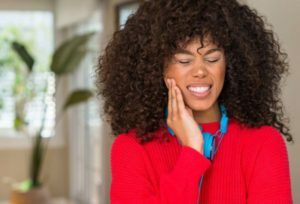 Soft Tissue Impaction:This happens when the upper portion of the tooth (crown) has made it through the bone, but the gingiva (gum) is covering part of the crown, causing infections as a result of improper ability to clean the area. Partial Bony Impaction:The tooth has made it partially out, but a portion of the crown remains submerged below the gum and surrounding jawbone. This is a common producer of infections due to an inability to keep the area clean. Complete Bony Impaction:The most difficult impaction, where the tooth is completely encased by the jawbone. Not all wisdom teeth need to be removed, but they are commonly taken out in order to prevent future problems with pain or impaction. Damage to nearby teeth:The second molars can be damaged if the wisdom teeth are impacted. Infection and jaw problems can occur. Disease:Cysts and tumors can occur in the areas surrounding impacted wisdom teeth. Infection:Bacteria and food can cause infections if not properly removed. Impacted wisdom teeth are difficult to keep clean and are prone to infection. Tooth Crowding:There are theories that crowding as a result of wisdom teeth being allowed to remain cause misalignment of teeth, leading to jaw pain and potential issues. A thorough examination of the mouth as the wisdom teeth begin to come in, combined with extensive x-rays will allow the dentist to make an accurate determination if the wisdom teeth can pose a potential danger to oral health or the surrounding teeth. Many wisdom teeth are removed as a precaution if it is determined that the risk of jaw bone loss exists, or that they are coming in with potential issues surrounding them. Local anesthesia, intravenous (IV) sedation or general anesthesia by a specially trained dentist is typically all that is necessary in order to have a removal process be completely painless. The wisdom teeth are removed using specialized instruments, and generally, there will be no need for any type of overnight stay. Post-surgical instructions will be provided, and pain medication will be prescribed based on the severity of the extraction. At Portola Dental Group, we tell patients who are planning for an extraction to prepare ahead of time. You will need to rest when you get home, so have your bed ready with plenty of pillows to prop up your head. Fill your nightstand with water bottles, additional gauze, ibuprofen, and some good books or movies. Plan on taking it easy for the next 48 hours. During that time, you may want to eat a lot of popsicles, ice cream, yogurt, warm soup, Jell-O, and other foods that are soft and do not require chewing. You will be too sore to try and eat anything else. At Portola Dental Group, we understand that each of our patients is unique and so are their teeth. Whether or not you need to have your wisdom teeth removed by a dentist, will really depend on the size of your palate. If you have plenty of room for all of your teeth and your third molars, they can stay in place. There is no point in removing something that grows in straight and is healthy. However, any tooth that grows in impacted needs to be removed because it is posing a direct threat to your other teeth and roots in addition to being a target for infections. The best way to find out if your wisdom teeth should be removed is to call 760-201-4085 and schedule an appointment with our Palm Desert dentist office. 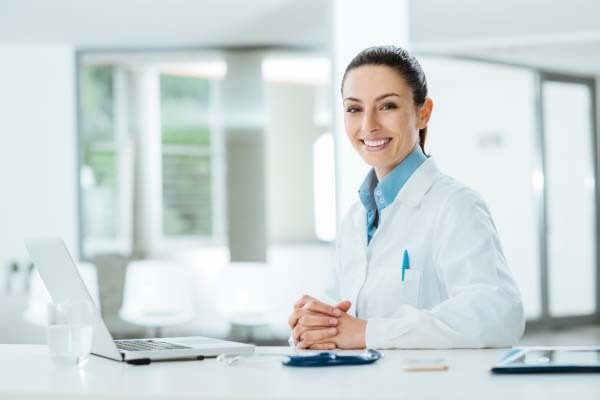 We can make a recommendation and answer any other questions you have about the procedure itself. If you live in the Palm Desert area, call (760) 201-4085 to schedule your dental exam so that you can remain in good dental health or receive treatment for a current condition.